FNND spent alot of time researching coffee shops in Amsterdam… The ones that sell coffee. By the time we finished, our bodies had more caffeine inside than blood. But being men and women of science, we broke on through to discover coffee in this great city…. We found Screaming Beans tucked down Hartenstraat. These folks are pretty well established. Screaming Beans have two outlets in Amsterdam – The first to open was a coffee/wine bar/restaurant. The second outlet is a purely coffee shop, which is what we were here for. It is a small coffee shop with a busy vibe and a decent space at the back for customers to work or gaze at their laptops over a coffee. 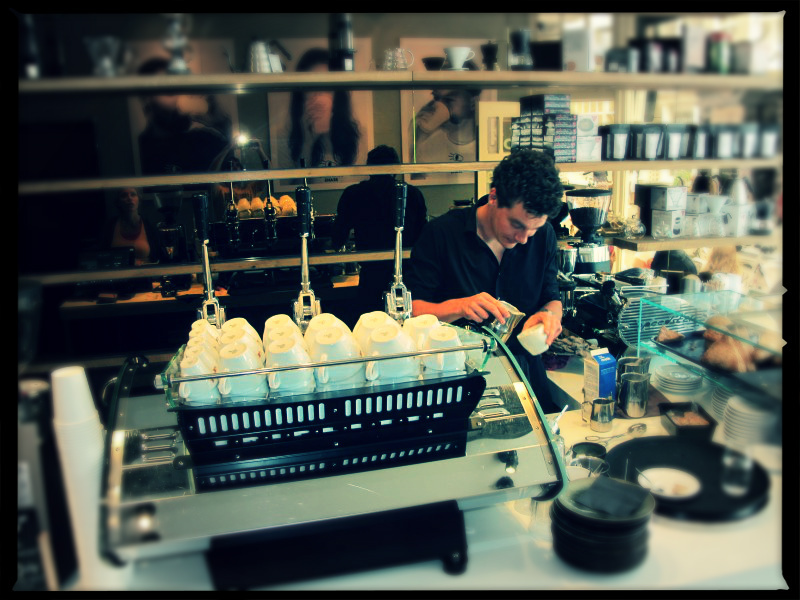 They are pulling shots from a kees van der western machine – it’s a lever machine and the shots were good… its always encouraging to see lever machines being used properly and the baristas are super easy going and knowledgeable. Screaming Beans is a place that you can spend quite a bit of time in. We tried the Kenya Kanguna through the lever machine and found some dry bakers chocolate notes and a pleasant acidity that wasn’t too overbearing like so many malic Kenyas can be. It had a lovely candied fruit sweetness on the tail end too. A decent shot and a decent spot.